Thank you for taking the time to find out more about us. We offer all types of fitness training programs to reach your long-term goals that work! 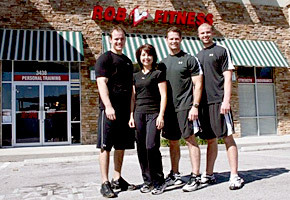 We are a private personal training fitness studio located in Valrico, Florida in the Lithia Crossing Shopping Plaza. With 2,400 sq ft. state of the art equipment and a proven training program that gets results! We are your only personal training studio you should consider training at. Stop trying to do it on your own and never getting results. Let us show you the natural and right way to get results! By joining, you will be given all the proven training strategies and advice you need. My testimonial page will provide all the proof you need. If your looking for the quick fix, the cheapest trainer or studio with inexperienced trainers…we are NOT the place for you! We want clients like yourself who want proven results, flexible hours and a plan of action that will inspire you to get into the best shape of your life. I have over 24 years of personal training experience and education to pass along to you. We are your fitness training headquarters. Strive to be your Personal Best. Achieve a healthy and strong body. We become your partner in your fitness program providing you with constant challenge, motivation, and supervision throughout each exercise session. By monitoring your training intensity, duration, frequency, and type of exercise, we offer a safe and progressive training program designed to achieve results! Whether you want to build strength, body tone, increase flexibility, or just get back into to shape I can bring it all to you.